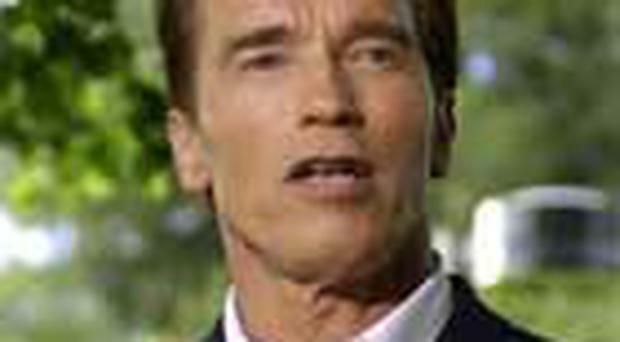 Arnold Schwarzenegger has sent redundancy notices to 20,000 government employees and shut down California’s last remaining public works projects yesterday, as state politicians failed to pass a budget that will prevent his administration from running out of money. The Governor of California, who is spending billions more each month than he can raise in taxes, has insufficient funds left to settle outstanding bills and is days away from being forced to start issuing “IOU” notes to creditors and civil servants. The state senate has been unable to agree on a package of tax increases that will stave off bankruptcy. The administration is currently operating at a loss of $12bn (£8.4bn) a year – a figure that is rising exponentially and will hit $42bn next year. Late on Monday night, with a proposed budget one vote short of the two-thirds majority it needs to pass, exhausted senators were sent home to sleep. They were ordered back to the chamber at 10am yesterday, and told that no one would be allowed to leave before a deal was reached. Politicians had already spent the entire weekend in Sacramento trying to break the gridlock, with sometimes surreal results: at one point on Saturday, they were forced to surrender car keys to security guards, to ensure that no one took advantage of a short toilet break to run away. The tortured nature of proceedings, in the face of looming crisis, leaves California, one of the world’s wealthiest regions, on the brink of becoming the first state in US history to be declared insolvent. Civil servants are already being forced to take two unpaid days off a month, while billions of dollars in income tax repayments have been frozen. State prisons are so underfunded that a court last week ordered the release of 55,000 inmates to ease overcrowding. Maintenance work on California’s infrastructure has all but ceased – the last 275 projects will be halted this week – and the state’s falling credit-rating, has made it tricky for Mr Schwarzenegger to tide himself over by borrowing funds on Wall Street. The crisis highlights the particular pressures that the economic crisis has wrought on a region where mass immigration places a disproportionate strain on public schools, prisons and hospitals. California has America’s second highest foreclosure rate after Nevada, with one in every 173 homes receiving a repossession notice last month. Income tax revenues are in steep decline, with unemployment at 9.3 percent. Though Governor Schwarzenegger has faced public criticism, he has only limited ability to manage finances thanks to California’s obsession with “direct democracy” in which small interest groups can enact laws by electoral “proposition”. Property tax has been frozen for many homeowners since a proposition passed in the late 1970s. A separate measure, introduced in the 1980s, means that income tax cannot be raised without the agreement of two-thirds of the state’s lawmakers. Meanwhile, previous borrowing means that roughly 10 per cent of all California’s cash is required to service its debt. A raft of other ballot measures control spending, meaning that only a quarter of Mr Schwarzenegger’s spending is considered “discretionary.” The rest has been “earmarked” for a particular cause. The result is political gridlock. A minority of Republicans at the state senate and assembly, most of whom were elected on the back of “anti-tax” pledges, are able to block tax rises – while the majority of Democrats refuse to countenance spending cuts.